These large illustrations, which I'm fairly certain came from magazines, were pasted into a large scrapbook I came across earlier this year. Do you (or did you) keep a scrapbook? What's inside it? Many people collect magazine clippings, newspaper clippings, ticket stubs, postcards, and so many other kinds of ephemera via the scrapbook format. Coming across them gives a fascinating glimpse into the past (even if the glue or paste utterly ruins the ephemera). Above: This colorful illustration is simply titled "The Crossing." There is no other information and I cannot find the illustrator's signature anywhere. 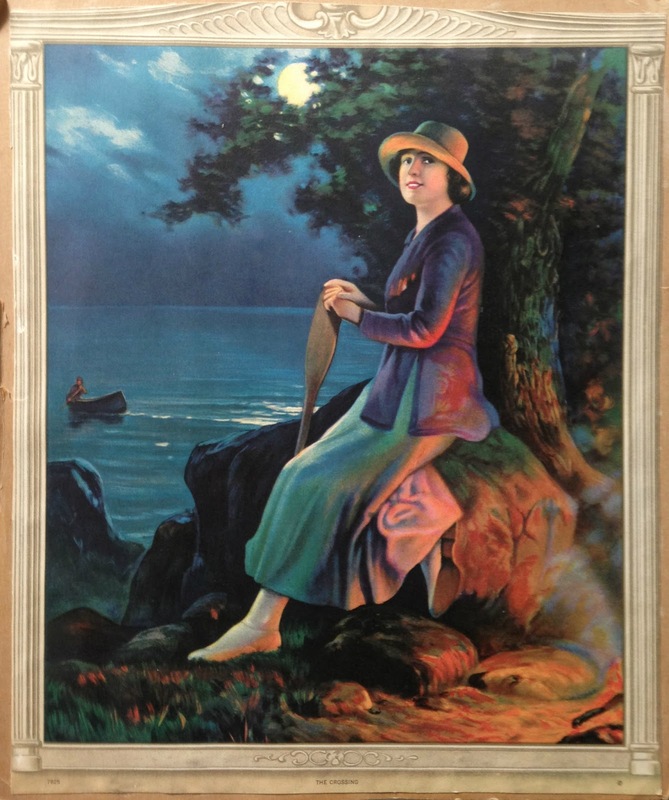 Above: This is titled "The Girl I Left Behind Me" and is from the painting by Marion Powers. 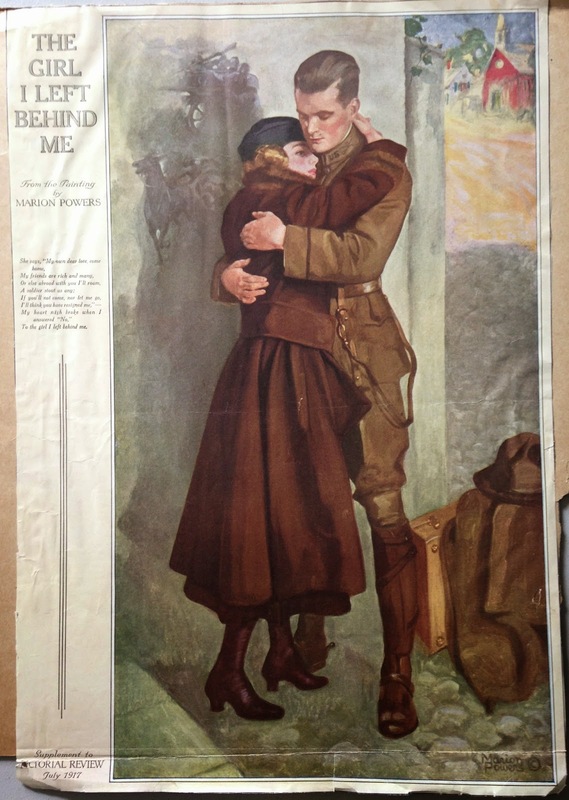 It appear in the supplement to Pictorial Review of July 1917. 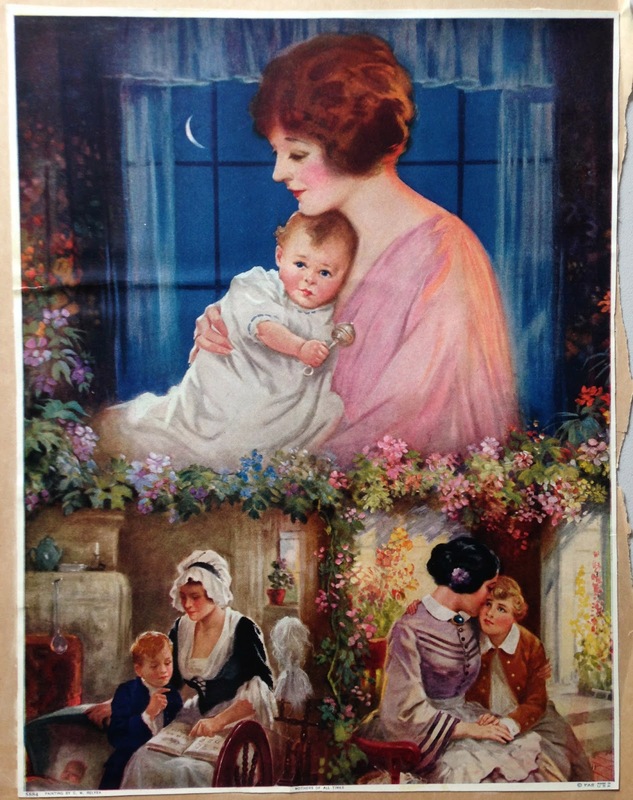 Above: This montage illustration is titled "Mothers of All Times." It is a painting by Charles Mark (C.M.) Relyea (1863-1932). Above: This is a detail of "Fairy Tales" by Ivan G. Olinsky. 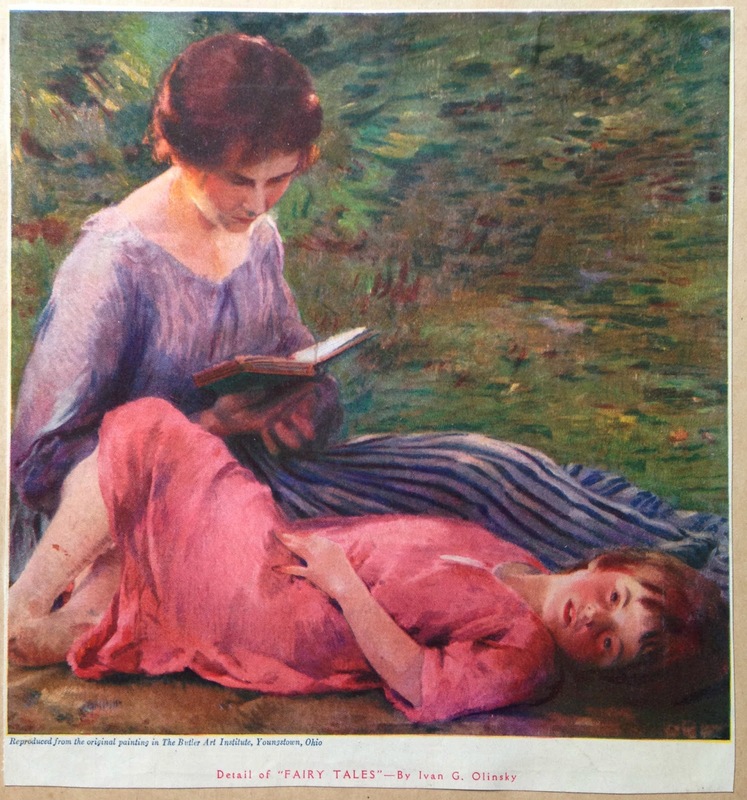 The original painting was, at the time, housed at The Butler Art Institute in Youngstown, Ohio. I'll be doing additional posts about some of the other interesting things found on this scrapbook's pages.